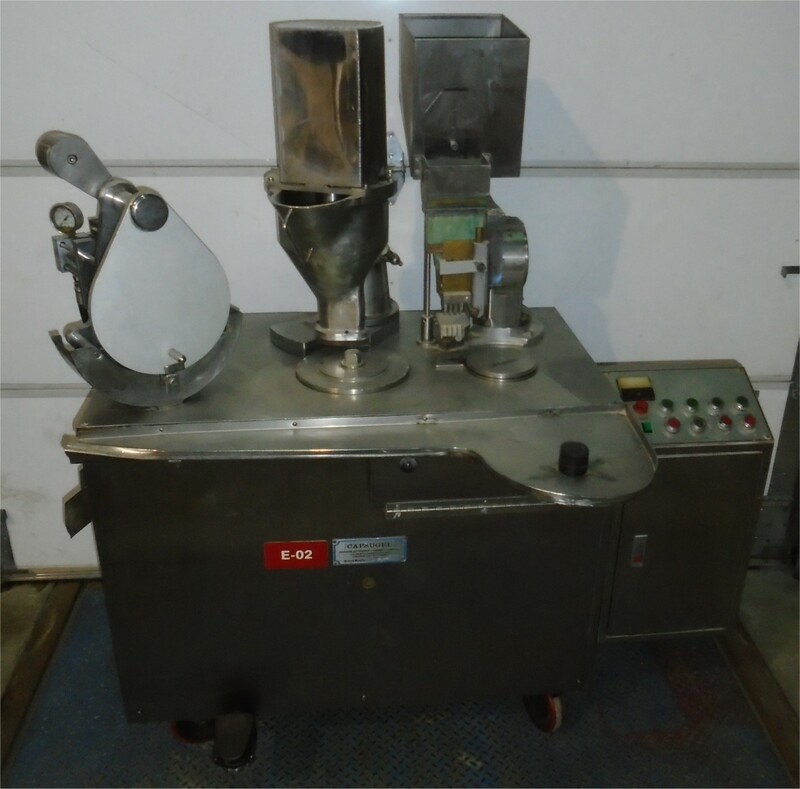 Used Capsugel Semi-Automatic Capsule Filler Model Ultra 8 with 1. set of change parts. 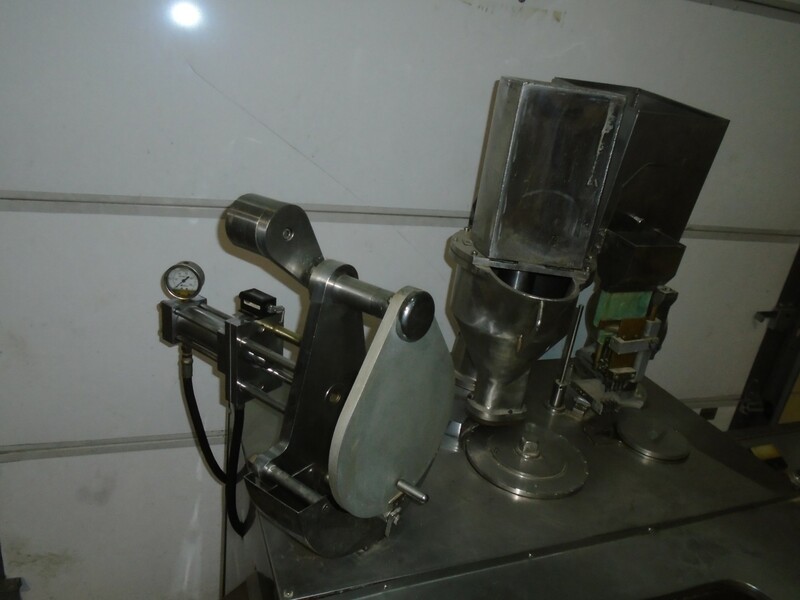 (Customer to Specify) Approx Capacity: 18,000-20,000 capsules/hr. 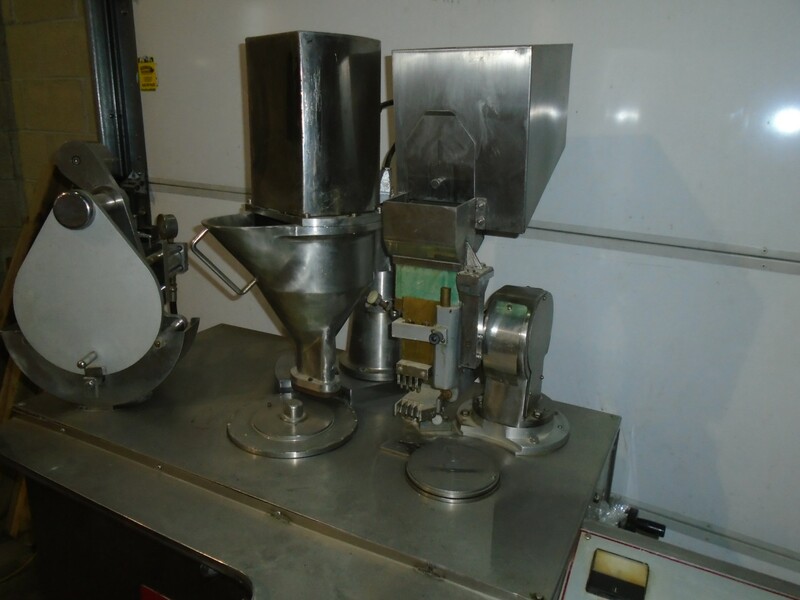 Comes on an enclosed S/S base, with S/S hopper and auger, closing station and standard controls. Electrics: 3Ph/60Hz/220V. Last used in a Nutraceutical company. (is missing gear drive for Empty Shell Rectifier). Delivery Time: Immediate.